Trustee, Hirsh Cashdan, tells us about Mondo’s work encouraging and enabling schools to take charge of their own destiny. Sending volunteers to the schools to provide tuition and conversation from native English speakers. All these activities have been initiated and implemented based on specific local needs as identified and proposed by the schools themselves and local Mondo staff who interface closely with them. In the past, however, we acknowledge many of the education initiatives have come to the schools “dropped in from outside” without a coherent framework for targeting improvement or assessing progress. In India, the schools are joined together only in so far as they are all Mondo affiliated and teach in English medium. Those that are only primary schools are subject to no external formal monitoring and the four that continue up to full secondary level, although connected to an examination board, are not actively supported or evaluated through this. In Nepal, the schools do form part of the local education system and there have been individuals in the District Education Office who have taken an interest in the schools but otherwise schools received limited support from the government. It is unclear how whether and how this position will change in light of recent changes in the Nepal local government system. 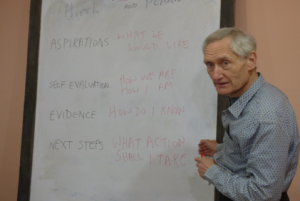 The schools, both in India and Nepal, have been visited numerous times by both local experts at Mondo’s instigation and by Mondo staff/trustees to assess progress. However, we appreciated the need to ensure the schools are evaluated on a systematic basis, using a coherent and consistent framework. In addition, we wanted to ensure that schools (in particular, the teaching staff) were empowered to to take full responsibility for the quality of their education. So, in 2015, we decided to pioneer a new initiative, co-designed with our partner schools – Programme for Improving the QUality of Education. In 2015 two Mondo trustees – myself and Ruth Worswick who is the head teacher of a school in Hampshire – decided, with the full support of the Mondo Board to design an overarching framework to give the schools the opportunity for greater self determination and to encourage them to take responsibility for their future. The aim was to create a methodology for the schools that would enable and encourage them continuously to increase the quality of the education they are offering. The head teachers must be part of the design of the system from an early stage. Succeed in improving what they were able to offer their students. With these ends and advantages in mind we designed a skeleton system that could be used as the basis for workshops with the head teachers, first in Mondo’s affiliated Indian schools and subsequently in the Nepal schools. Why did we need such workshops? Aside from the clear benefit of involving the heads and thereby gaining their cooperation and commitment, we regarded it as paramount that the schools themselves should define the end results, the behaviour, activities and standards to which they aspired their schools to achieve rather than have such aspirations defined for them, however well intentioned, by others. This lives up to the principle of co-design and bottom-up development championed by Mondo. In India, these sections proved suitable for detailing all the specific aspects the heads wanted for their schools and their children. 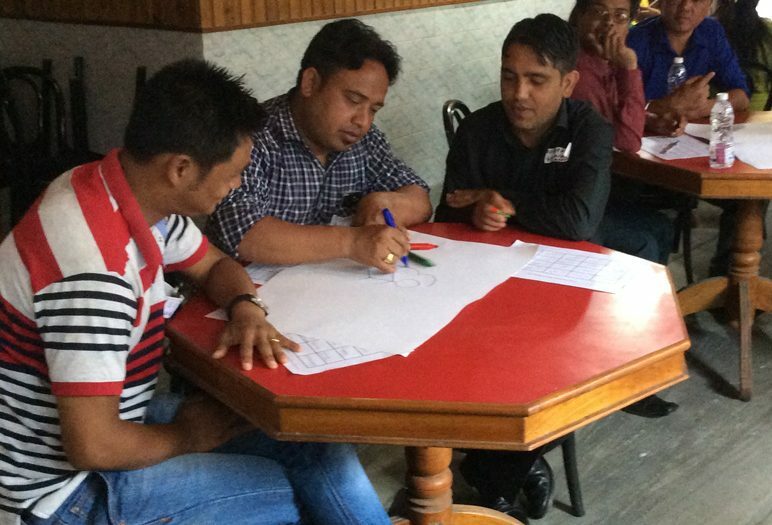 In Nepal, which at the time of the introductory workshop was still suffering from the aftermath of the very serious earthquake of 2015, it was necessary to add a fifth section focused specifically on Physical Fabric and Fittings as this needed so much attention for virtually all the schools. Continue to read about our long term vision for PIQUE in the second part of Hirsh’s blog here.